AAH PODCAST 41: BUILD COURAGE, SPEAK UP! 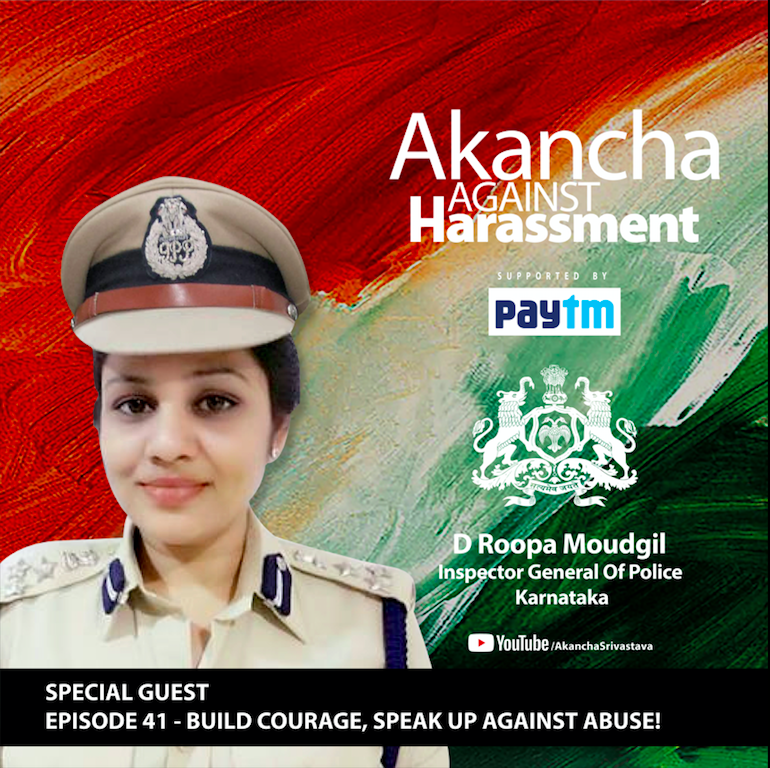 In the first episode of the series of Independence Month special campaign, Inspector General Of Police, Karnataka- D Roopa Moudgil, talks about why its important to build courage & speak up if you have ever been a victim. She also has an important advice for youngsters about not getting depressed due to any online trolling. This is critical for everyone to understand that an opinion by an unknown person online should not drive you to extreme thoughts of self harm. Dont be a bully, dont give in to abuse, enjoy our beautiful country’s Independence responsibly! Jai Hind!